The edgy holiday look you’ll need this season. On the sixth day of Christmas my true love gave to me… a festive natural hair idea! We absolutely couldn’t get enough of this natural hair frohawk, so we decided to tweak it into something festive for the holidays. ‘Tis the season for all things merry, so say hello to the festive frohawk natural hair updo hairstyle. 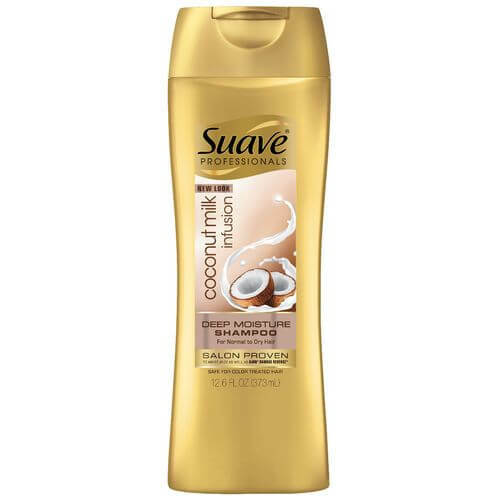 Wash hair with Suave Professionals Coconut Milk Infusion Deep Moisture Shampoo and condition with Suave Professionals Coconut Milk Infusion Deep Moisture Conditioner. 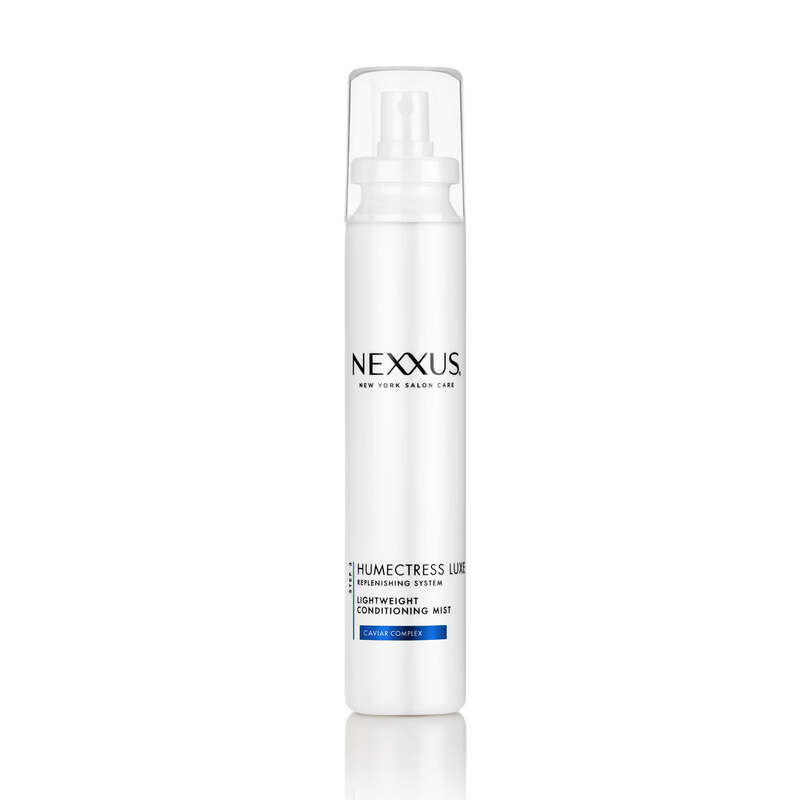 Apply a leave-in spray like Nexxus Lightweight Conditioning Mist throughout your hair, then air-dry or diffuse. 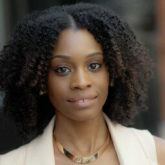 If you want to create curls using a twist-out, use this curly hair tutorial by Mini Marley. Step 2: Create your frohawk. Need help with this step? Head on over to our frohawk tutorial to learn how to create a fauxhawk for natural hair. Step 3: Fluff your hair. Use your fingers to fluff your curls and add volume. For the bang area, use hairpins to secure your hair in the direction you want it to fall. Step 4: Embellish your updo. 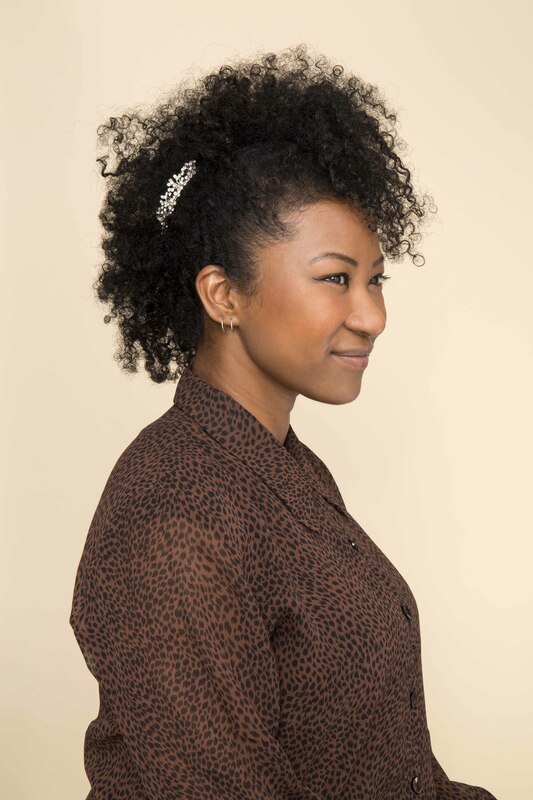 Add gilded pins or hair clips to your frohawk natural hair updo to decorate your hair. Step 5: Set your style. 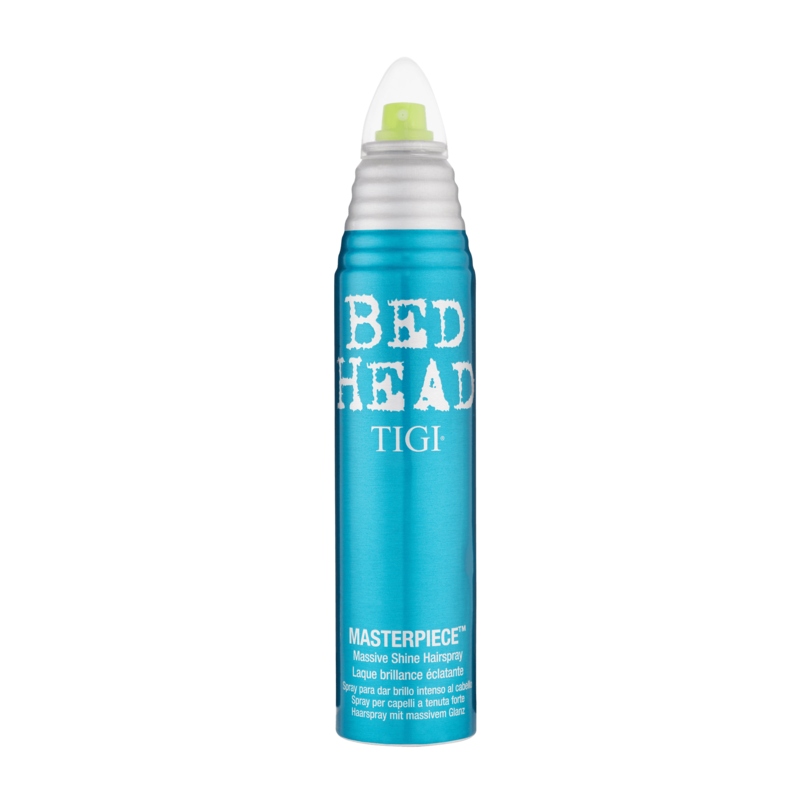 Finish your frohawk natural hair updo with a shine spray, like Bed Head by TIGI Masterpiece Shine Spray, to make your curls pop! Cop this 1930s-inspired look for the ball drop.